Situated in the famed Upper Butte Basin of the Pacific Flyway, Merlo Waterfowl has some of the finest and most well managed private properties available. With four major Refuges in a relatively small area; including Sacramento National Wildlife Area-Llano Seco Unit, Upper Butte Basin Wildlife Area CDFG, Dry Creek Unit UBBWA, CDFG, and Graylodge Wildlife Area, CDFG. The numbers of wintering waterfowl on these properties are staggering. Our waterfowl properties span 7000 acres. Located on the northern fringe of the world famous "Butte Sink" , Boarding Butte Creek, Llano Seco WMA and the Rancho Esquon and Gorill flyway. Our ranches are privately owned and in some cases farmed and cultivated ourselves. Given that and our partnership with the landowners, the ability to keep water open and low pressure, several thousand acres of crop ground and resting areas for migrating waterfowl provide the most discriminating hunter premier duck and goose hunting in the Pacific Flyway. Our portfolio of properties rank among some of the highest success rates in the entire Upper Butte Basin. Merlo Waterfowl Company offers annual memberships, fully guided and non-guided hunting in over 50 pit blinds and other designated hunting areas in Rice Fields, Sloughs and Wildlife Habitat. Our key to outstanding success is a combination of several significant factors, more than ample property per hunter, limited pressure, and food plots for wintering waterfowl to rest and feed. *All Properties with marked with a 'Star' above are Guided Goose / Duck Blinds. The Afterbay Ranch directly boarders the southern edge of the Thermalito Afterbay and just north-east of Rancho Esquon. A major flyway for geese, this 500 rice acre ranch is manged primarily for dry field goose hunting and has seen an excellent harvest rate. Hunting from brushed layout blinds sitting under a tornado of all types of geese is an experience no waterfolwer should go without. Book the Afterbay! Located just south of the Lano Seco Refuge, this property boosts one of the highest harvest rates of all our ranches. Blinds run east from Aquas Frias Rd just north of Butte Creek and continue west boarded by several hundred acres of natural habitat. An eastern section of the property boarders Butte Creek and is left for prime dry field goose hunting. The property has a high harvest rate of white and dark fronted goose. The 1000 acre rice property has 10 professionaly placed in-ground pit blinds and has a parking lot with room for trailers. Check availability and pricing. The Bowlsby Ranch is 1000 acres of rice located smack in the middle of the migration route between Llano Seco Refuge and Rancho Esquon. The eastern portion of the property boarders Butte Creek and runs west to Aquas Frias Rd. There are 9 pit blinds and 2 goose pits. 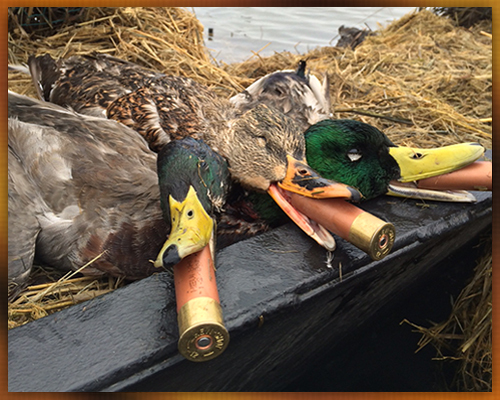 This ranch shoots a high number of Mallards and Widgeon. Wood Ducks are often from a flooded Oak wooded slough running through the property. Conveniently located on property are RV trailer spaces with full hook ups for additional cost. Contact us for availability and pricing on blinds and trailer spots. Greco Gun Club is located north of Nelson Rd and west of Aquas Frias Rd in the heart of the upper butte basin flyway. The property only has 4 pit blinds on 580 Acres of rice land that allow for an outing for the most discretionary waterfowler. The property is right in the middle of the Llano Seco Refuge, Howard Slough Refuge and Gorril Ranch flyway. The property has secondary water sources through its deep wells if needed however Western Canal Water District is the primary source of water for flooding. This is one of the north butte basin’s premier waterfowl ranches. Located just east of the Upper Butte Basin Wildlife Area and Hwy 162, the Meyers Ranch is a solid shooter and has just five blinds in over 400 acres of rice. Parking is available on Highway 162 with easy access to and from blind. This property shoots all varieties of ducks and both light and dark geese. The Peterson Ranch boarders our Bowlsby Ranch and has 4 blinds in over 400 acres of rice. Bordered by Butte Creek to the East and directly under the Llano Seco Refuge and Rancho Esquon Flyway, this ranch has a high harvest rate. Annual memberships are available, check as these blinds fill fast! The Sohnrey Ranch is one of our oldest ranches and most consistent shooter. It has 3 blinds in 300 acres of rice. With it's larger checks and big water, it makes for outstanding pintail shooting. Located directly east of the Upper Butte Basin Wildlife Area and just south of Butte Creek, the property shoots both ducks and geese. Adjacent to Aquas Frias Rd, the ranch has convenient access with plenty of parking. This property is located just 20 minutes from Chico and is the ideal fit for the hunter who likes to squeeze in that before or after work hunt in. Abutting Butte Creek and directly across from the Upper Butte Basin Wild Area this 550 acre property has just 5 pit blinds in rice and one shooting station in the natural habitat that boarders Butte Creek. One of our highest harvest rates, this property shoots all types of ducks and geese. Given a storm or foggy day, look out! This property is available for annual memberships. Check availability and pricing. Wickman Ranch has 3 blinds in over 300 acres of rice. Located just south of Highway 162 and east of Cherokee Slough the property year end and year out ranks amongst the top of our list. The property is off of Wickman Road and has parking with convenient access. The area is known for high concentrations of both ducks and geese. Check availability for annual memberships.